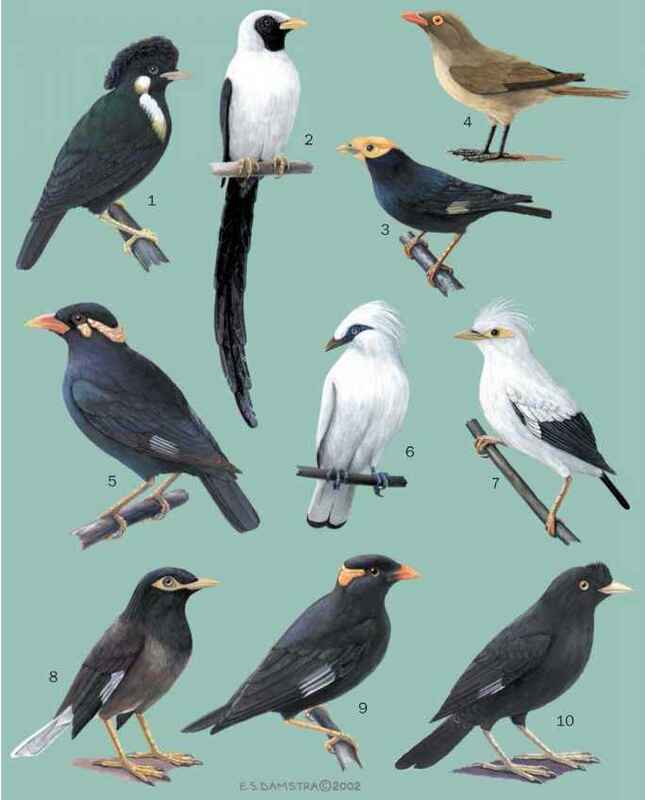 Many species in the Icteridae are among the most numerous and successful of American songbirds. They are a conspicuous component of the fauna of many grasslands and marshes, and some, such as many of the grackles and cow-birds, have adjusted well to human-induced changes to the environment. Nonetheless, some 7% of the species are classified as being under some level of threat, ranging from endangered to further protection desirable. The Martinique oriole (Icterus bonana) is Vulnerable, and Forbes's blackbird (Curaeus forbesi) is listed as Critically En dangered. The oriole is endemic on the West Indian island of Martinique where it was originally distributed throughout the forested areas of the island at lower elevations. The principal threat to this species is brood-parasitism from the shiny cowbird, which colonized the island during the late 1940s and is increasing in abundance. Today, about 75% of the nests are parasitized by cowbirds. Forbe's blackbird is known with certainty from only two regions near the Atlantic coast of Brazil. In the 1880s, when this species was first described, it was said to be local in occurrence, but apparently common where found; however, they are very similar in appearance to the chopi blackbird (Gnorimopsar chopi), so there is some uncertainty about their status because many so-called records of Forbe's blackbirds may have been of chopi blackbirds. Forbe's blackbird is threatened by deforestation and by pressure from parasitism by shiny cowbirds. tropical forests, habitat destruction has led to declines in numbers, and today they are local in distribution, although common in a few sites. The saffron-cowled blackbird (Xanthopsar flavus) is a Vulnerable bird of moist grasslands, marshes, agricultural fields, and dry bushy areas of southern Brazil, Paraguay, eastern Argentina, and Uruguay. For reasons that are not well known, but include habitat destruction, their numbers have declined sharply in the last century, especially since the 1970s. 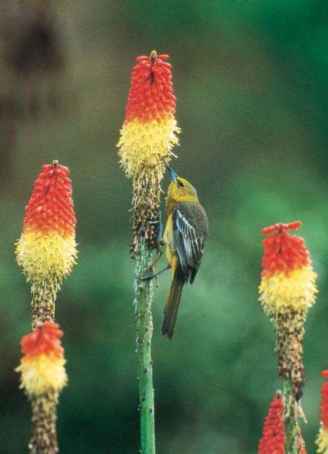 The selva cacique (Cacicus koepckeae) is Vulnerable as well. This cacique is known only from the type-locality (the site where it was first collected), in the lowlands of Peru, although there are other sight records from Manu National Park in Peru. Little is known of their biology, but they are probably extremely rare. Although only seven of the approximately 103 species of blackbirds are listed, three of these represent monotypic genera (that is, they are the only species in that genus). In other words, if those three species were to go extinct, three of 25 genera, or approximately 12%, would be lost, leading to a fairly substantial loss of the diversity that has evolved in the Icteridae.